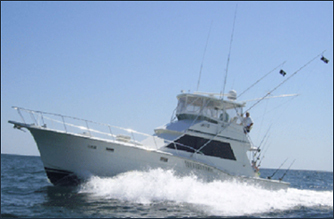 Explore the Gulf waters off the coast of Alabama aboard the luxurious Triple-Trouble fishing boat. Offshore charter fishing near Mobile is a new adventure for both experienced anglers and novice fishermen, with trophy giants of all kinds waiting underneath the water. 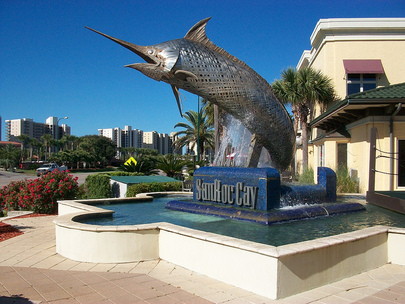 Alabama native and Captain Chad Reyer takes guests to the Gulf’s most abundant waters to reel in Grouper, Mahi Mahi, Snapper, even Swordfish and Sailfish. Whatever type of fishing excursion you are looking for, you can find it aboard the Triple-Trouble. If you are seeking a relaxing afternoon on the water where you can take in the sights and try your hand at the rod, Triple-Trouble delivers a luxurious experience. Sit back and relax in the air-conditioned salon, equipped with a flat screen TV and radio, or enjoy some down time in one of two staterooms. After taking in the salty sea air and grappling with your latest catch, you can rinse off in either of the two bathrooms and arrive at your next destination clean and refreshed. Triple-Trouble combines luxury and adventure with an experienced captain to lead you to the best fishing waters and help you reel in your fish, and a spacious boat to relax in. Contact Triple-Trouble fishing charters to book your trip today.